Surrogacy has been around since the 1980s, but in the early years it was often shrouded in secrecy and legal red tape. These days, advances in medicine, law, and public awareness have allowed IVF surrogacy to become a routine option for many people who might otherwise never have the chance to have a baby who shares their genetic heritage. Thousands of healthy babies have been born through IVF surrogacy in recent years, and celebrities such as Sarah Jessica Parker and Nicole Kidman have been open about choosing this way of building their families. Patients often have questions about how surrogacy works and whether it might be the right choice for them. This article will introduce you to the basics of IVF surrogacy so that you can feel comfortable discussing the option with your partner and fertility team. IVF surrogacy uses a third party “gestational surrogate” to carry the pregnancy when a patient is unable to carry a baby to term herself. The gestational surrogate may also be called the “gestational carrier” or “gestational mother.” The gestational surrogate signs a contract with the intended parent or parents to undergo an embryo transfer procedure using embryos created through IVF and to carry the resulting pregnancy. For heterosexual couples, this generally means using embryos created using the eggs and sperm of the client couple. This means that, if the pregnancy is successful, the couple can bring home a baby who is 100% related to both partners, just as if they had been able to conceive and carry the pregnancy on their own. Single women opting for IVF surrogacy may use their own eggs and donor sperm. LGBT couples may also choose to use IVF surrogacy, using the eggs of one partner and donor sperm, if neither partner can carry the pregnancy themselves. In all cases, the gestational surrogate has no genetic ties to the baby she carries. Gay couples often use a gestational surrogate, but as they will use donor eggs or the eggs of the surrogate herself (also known as “traditional surrogacy”) this process is not usually referred to as IVF surrogacy. The main draw of IVF surrogacy for most couples is the ability to have a child who shares the genetics of both the mother and father, even when pregnancy is not possible for the woman. While we know that a biological link is not necessary for family bond, the natural desire to share your genetic heritage with your child is strong. Some women are medically unable to carry a child to term, but are still able to produce healthy eggs. For some women, this is because they have a congenital problem with their uterus, or because it has been damaged by injury or disease, or removed by a hysterectomy. 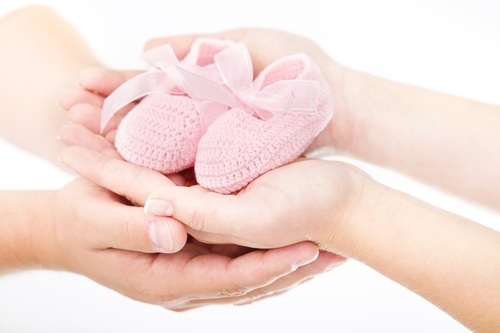 Some choose IVF surrogacy because they have undergone several unexplained pregnancy losses. Others may have been advised against attempting pregnancy due to other medical issues such as diabetes, hypertension, or heart disease. Whatever the specific circumstances of a case may be, using an IVF surrogate can offer hope for patients who have suffered repeated heartbreaking miscarriages or when other ART methods have failed. Gestational surrogacy with IVF is less legally complex than traditional surrogacy because the surrogate is not genetically related to the baby, which makes it a more accessible and easy choice for many couples. Choosing a surrogate is obviously a very important decision. Some fortunate patients have a close friend or family member who has offered to carry a pregnancy for them. Others advertise privately for a gestational surrogate, but most clients decide to go through an agency. A reputable agency can provide you profiles of carefully screened potential gestational surrogates, and guide you through the process of choosing the right surrogate. They should also be able to inform you of any legal considerations in your state concerning surrogacy, and even introduce you to a lawyer who can prepare the necessary contracts and paperwork. How does IVF surrogacy work? The biological mother (who is providing the eggs) and the gestational surrogate will take medication to synchronize their menstrual cycles. Once the cycles are synchronized, the egg provider will begin her IVF protocol to stimulate her ovaries for egg production. The egg provider will undergo an egg retrieval procedure. Her eggs will be taken to the lab and mixed with her partner’s (or donor) sperm and cultured for 3 to 5 days. At the same time, the gestational surrogate will begin taking supplemental progesterone to prepare her uterine lining for pregnancy. When the embryos are ready, one or more will be transferred to the surrogate’s uterus. In two weeks, the surrogate will take a pregnancy test to determine whether implantation was successful. If pregnancy occurs, the surrogate will be monitored by the IVF clinic until the pregnancy is 10 to 12 weeks along, at which point her care is transferred to an OB. When the pregnancy is complete, the surrogate delivers the baby. The baby goes home with its intended, biological parents. Sometimes, the biological mother undergoes her IVF cycle some time before, and the resulting embryos are frozen for later transfer to the gestational surrogate, in which case the timelines can differ. Understanding all the options open to you as you explore your own fertility journey is the best way to make an informed decision. In the world of advanced reproductive technologies (ART), IVF surrogacy is now a common treatment path, and there are many resources out there to help you find your way through the process. If you decide to go with an IVF surrogate to build your family, your fertility team will be able to support you and connect you with trusted surrogate agencies.